Summer in Russia is a special season, and it's the most popular time to travel to Russia for obvious reasons: warm weather makes travel more pleasant; attractions that close or operate at reduced hours during the winter welcome visitors on a normal schedule; packing for summer travel is easier, too! What can you expect if you travel to Russia during the summer? Russian summers are warm, but cities such as Moscow (and even those as far east as Tomsk), can experience intense heatwaves that drive residents out of doors, and in some cases, out of town. Brief downpours occur unexpectedly; it's good to carry a small travel umbrella with you even on the sunniest days. When you're sightseeing or touring in the summer, be sure to remember to wear sunblock. Getting sunburned early in your trip will make the rest of your visit less pleasant. Don't forget to protect your ears, the back of your knees, face, and other areas of exposed skin with a good-quality sunscreen that will last throughout the day. Be sure to pack clothing that is breathable and comfortable for your summer trip to Russia. Lightweight slacks for men and summer dresses for women are preferable to shorts; shorts can prevent you from seeing major Orthodox cathedrals because of dress code, and you'll fit into the local fashion scene more readily. You will likely be doing plenty of walking when you visit Russia, so bring a couple of pairs of comfortable shoes. Ditch the sneakers for shoes that can go from day to evening when you require them to, that have good arch support, and that will go the distance without putting wear and tear on your feet. If you don't already have a pair of suitable shoes, consider purchasing two pairs well before your trip and breaking them in gradually. Two footwear options will allow you to switch out one pair for another in the event one pair begins to rub, gets wet, or otherwise becomes unusable. Other summertime essentials include a small travel umbrella for sudden rain showers, a pair of sunglasses, and a lightweight bag. Make sure your bag sits close to your body to help deter pickpockets and is roomy enough for your camera, personal items, and if you're going to be out and about until the evening, a light sweater or jacket. Start planning your trip to Russia 3-6 months before your departure date. You'll need a valid passport and a visa. 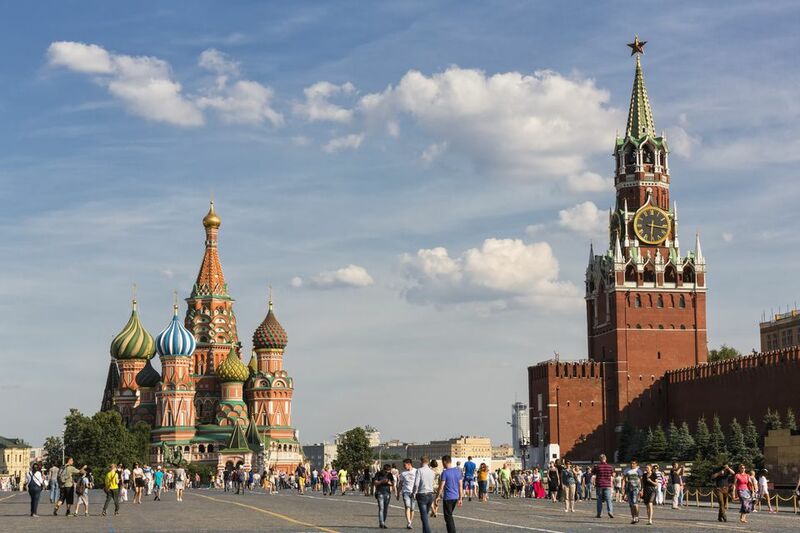 The hepatitis series of vaccinations, recommended for Russia travel, is delivered over a period of weeks, so talk to your doctor early about these and other recommended inoculations. Because June, July, and August are such popular travel times, research flight and hotel prices in advance and book as soon as you are able. If you have never been to your destination city before, look into a guided tour, which will provide an overview of attractions. Make a list of sights and museums you don't want to miss seeing and do some preliminary legwork to determine how difficult it will be to get to them from your hotel or the city center. If your schedule allows, look into day trips that you can take. You'll see more of the country and learn about Russian life outside of the city. Ivan Kupala, a July 7th holiday, marks the official start of summer, but it's also a day for “dousing”—look out for children with buckets of water! Poplar down, tree seeds encased in white fluff, is a summertime miracle that mimics snow. The poplar down is swept by the breeze to collect on sidewalks, around lampposts, and under cars. Hand-picked from gardens and personal orchards, fresh produce is sold by babushki on the sides of roads and main thoroughfares. The prices are good and the fruit and vegetables delicious! Air conditioning is less common (in residences and in hotels) than it is in the States, so Russians cool off in other ways. They use their cities' green spaces for escaping the heat of the sun, eat copious amounts of ice cream, or enjoy refreshing glasses of kvas, a fermented, effervescent drink. Russians who are able to flee the city on the weekends or for a vacation to enjoy their summer cottage or dacha. Dachas are located on the outskirts of cities and towns. Some Russians maintain gardens there, but the intention of the dacha is to provide a place away from the heat and noise of the city where families can relax and commune with nature.